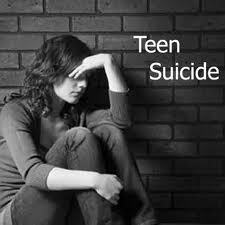 Suicides have now become so commonplace that they are now the second leading cause of death amongst the youth. What drives a person to take such a radical step like suicide? If you are going through suicidal thoughts very often, what should you do to avoid succumbing to them? Helplessness or the feeling of not being able to control your life. Talk to someone before you act on your impulse. 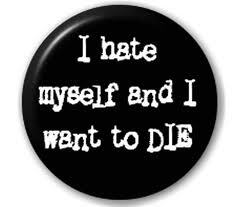 Thoughts of self-harm are highly intense, loaded with emotion. But they are fairly short-lived. Their intensity reduces by talking and/or crying it out. It takes a split second to act but if you let the impulse pass, the feeling passes by. Communicate – with family, close ones, friends. If you cannot talk freely to anyone, a counsellor or psychologist can help you get a neutral view on what is happening. Mission – ME FIRST! Write nice things about yourself (or get your good friends to write it for you) and paste in on your wall. Make yourself your first priority. Pamper yourself with things you like. Surround yourself with people you like..
Get some fresh air everyday – take walks in a garden or any open area. Take up any physical activity – join a gym or play some sport. Physical exercise has been proven to help channelize thoughts better. Learn something new – a new language, a new hobby. If you can’t figure out the one thing you want to do, try many and pick one or two things which make you feel good. Help the underprivileged. You’ll be surprised to see how many people around you need help. Sometimes, we learn unexpected lessons of faith and hope from such people. Give yourself some time to heal and give your emotions some leeway. If you feel like crying, just do it. If you want to write down your thoughts, just do it. Whatever you are going through, give life a chance, it’s worth it! Take them seriously. Suicidal people tend to leave hints for others. Just being there for the person may sometimes be the best thing you can do. If you cannot be with him/her all the time, make sure someone else is. Talk to the person regularly and help him/her believe that he/she will overcome any problem that is making them think of something as drastic as suicide. And do remember to really listen to them while they speak their heart out. Make them feel good about themselves. Remind them of their achievements, their goals, their dreams. Surround them with their loved ones. Make them believe that life’s worth living. If nothing seems to work, take him/her to a good counsellor or psychologist.